Sometimes a show hits exactly the right mark for everyone who comes across it. Caroline, or Change, does exactly that. No wonder the Evening Standard calls it a 'modern masterpiece'. Five stars from the Sunday Times, Mail on Sunday and Daily Telegraph agree. 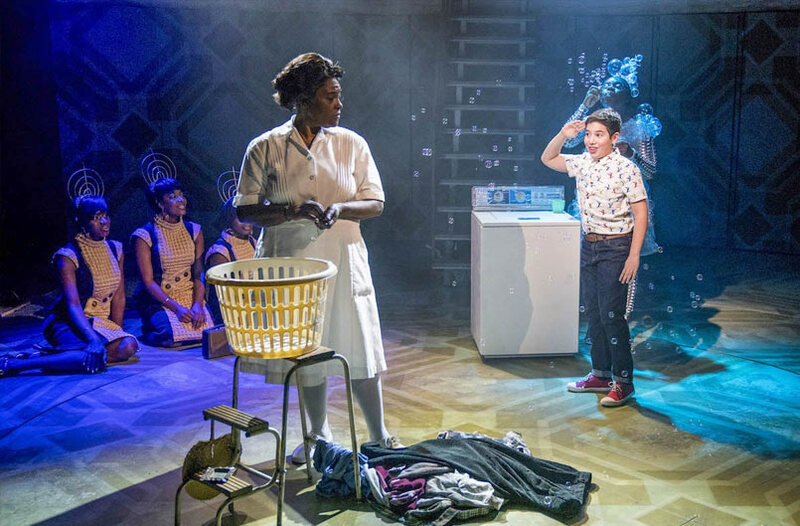 Head for the beautiful Playhouse theatre to experience Caroline, or Change, an Olivier award-winner that's set to enthral London audiences with its humour, depth and imagination. 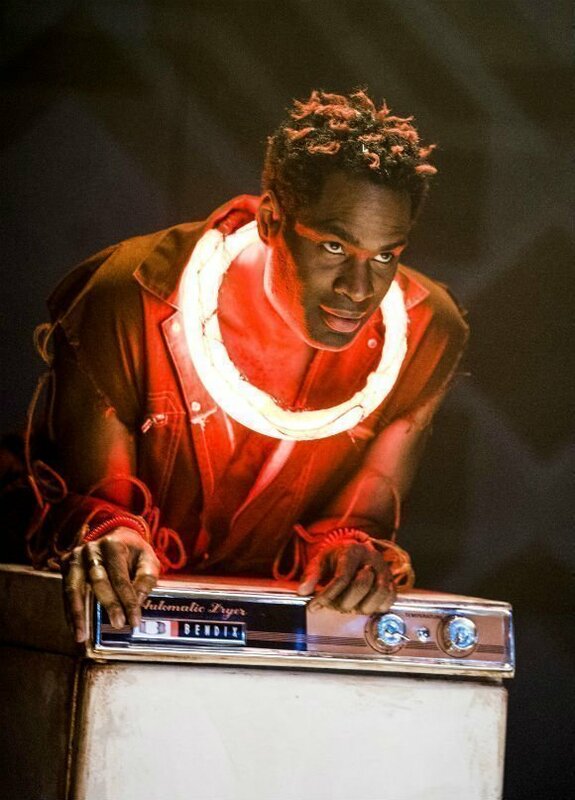 The show transfers to the West End in late 2018 after sell-out stints in Chichester and Hampstead, a brilliant piece written by Tony Kushner whose legendary Angels in America made his name. 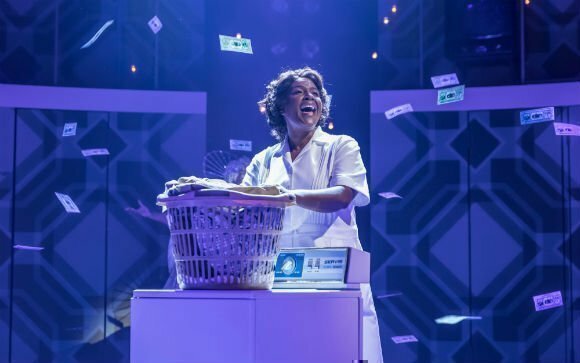 There's a gorgeous musical score from the Tony Award-winner Jeanine Tesori and the show stars Sharon D. Clarke in an performance so good it has been widely tipped as 'virtuoso'. The setting is Louisiana in 1963. There's revolution in the air, but the maid Caroline is still paid peanuts, still working in a sweltering basement for the Gellmans. 8 year old Noah Gellman, whose mum has just died, loves the basement's clean, steamy comfort but when he decides to leave more money in Caroline’s pocket, he unwittingly tests for whom and how far the winds of change have actually come. 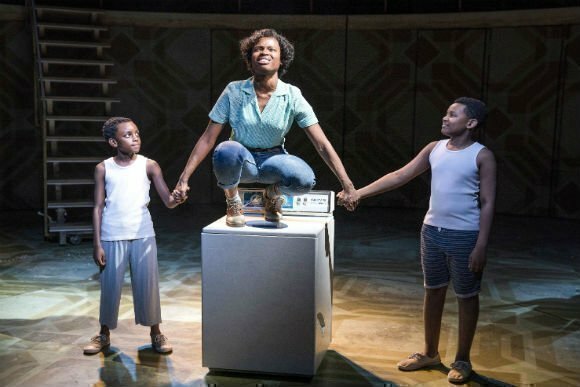 This show snagged an Olivier Award for Best New Musical, an accolade that proves its excellent dramatic credentials. It's playful, funny and deeply moving, and the score keeps pace in the most wonderful way, with soaring tunes designed to break your heart... then mend it again. Expect a brilliant blend of spirituals, blues, Motown, classical music, plus Jewish klezmer and folk music. The show is beautifully directed by Michael Longhurst and the action starts at the Playhouse Theatre from 20th November 2018. Grab tickets while you can, since it's on for a strictly limited run. This is a grown up show for people aged 16 or over, dealing with themes that a younger audience is unlikely to understand properly or appreciate. 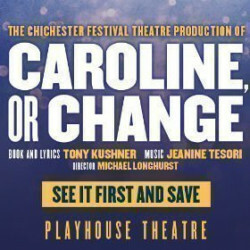 We have a great selection of cheap Caroline, or Change tickets. 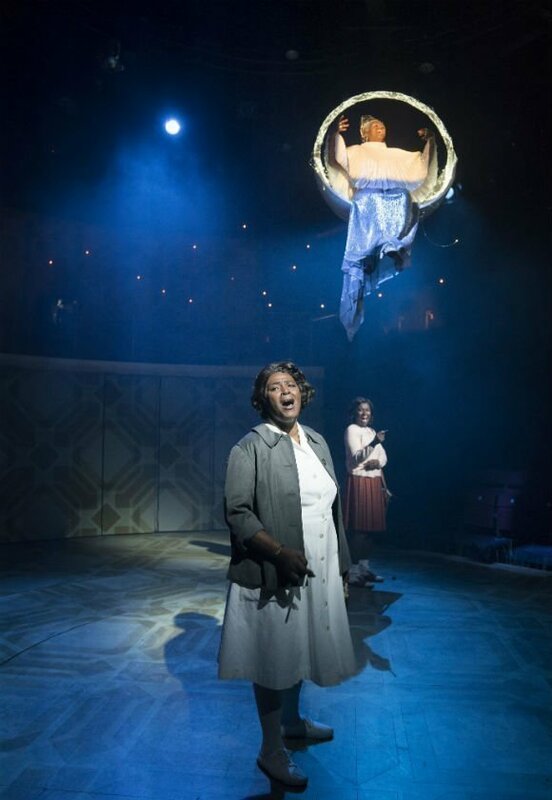 We can help you save up to 70% on Caroline, or Change tickets! 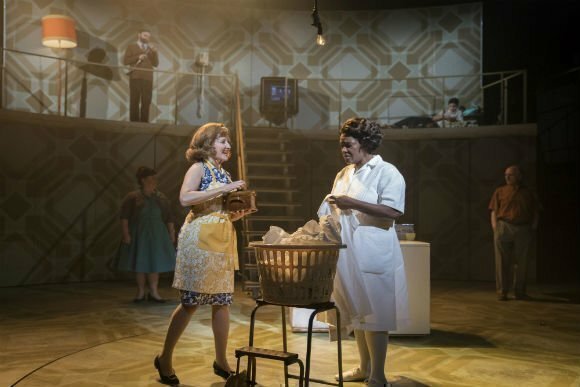 If you're looking for discount theatre tickets have a look below for our latest offers for Caroline, or Change at the Playhouse Theatre. Caroline or change was interesting, beautifully acted, handbasin fantastic issues to go away and think about! I enjoyed Caroline or Change a lot. My seats at £41 each (4) wasn’t very comfortable though as it’s too close to the person in front... literally my knees was up against the seat in front. But the performance was excellent. I prefer when performers speaking the dialogue instead of singing the dialogue. But overall it was a fantastic show!!!! The singing was amazing, especially the woman playing Caroline, her daughter and the boy who played Noah. Lovely story wonderfully told through song. 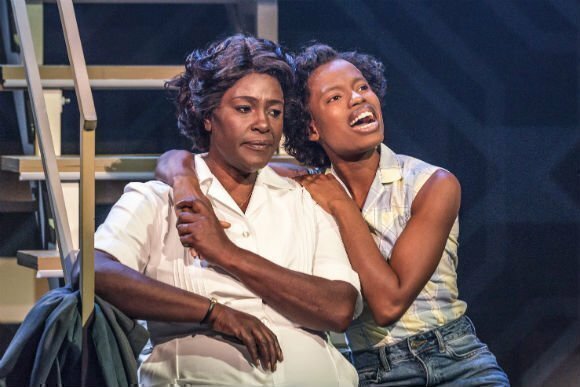 Sharon D Clarke sang well with great diction however the syr for me was the actress playing her best friend who I believe plays the lead on Mondays... what a voice. I wanted to listen to her more and feel she has big things ahead of her. The boy playing Noah was also excellent for his years. Would definitely recommend. As someone from Louisiana, I wasn't sure how I would feel about this show. I'm so glad I went, as it turned out to be absolutely fantastic. The story is great from beginning to end, with the perfect mix of comedy and seriousness. The show was amazing! The performances believable, the talent extraordinary. We loved the show. This is the fist show I've been to that all the singing was just beautiful. We sat right at the front (probably better to sit a few rows back as don't see the performers' feet) and felt totally immersed in the show. I loved the sprinkling of the snow and fake money. Close up I could see the expressions of all the actors' faces. Their depth of emotion transferred to their acting. Loved every minute. The story is a bit confusing. Lots of shouty singing so unable to understand the words. Which is important as everything is sung. Great performance that we’ll never forget! I think the show was extremely entertaining. Me and my children go to the theatre a lot and this was one of the best shows. We got our seats for a reduced price. It was a great value for money. Brilliant!! So creative!! A Must See!!! This is a classic in the making!!! Absolutely fabulous!!! Challenging!! A musical masterpiece from top writers of their craft!!! Thank good not all the best writers are dead. 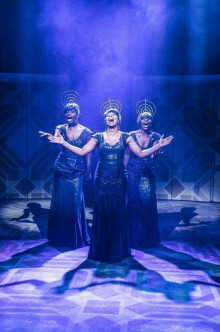 The golden age of musicals is not dead. 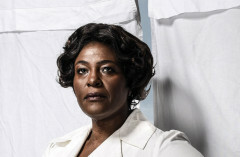 Sharon C. Clarke is a Star .....as are most of the cast!! Am going to see it again!!! What better praise is there than that!!! Best Show in London at the moment!!!!! ***** Five Stars! 'Noah' the night I went was incredible, barely 12 yes old!!!! Such talent! No one worked harder!! The least I can do is go cheer again, and give everyone a standing ovation!!!! Top Marks ....and beyond!!!! Play was good at first half but the 2nd half became boring and seemed is not getting anywhere. At times sound was too loud specially when few singers were singing together. Main actress was really good with a powerful voice. It would have been good if there were some jazz music or dances in between. I don't think I'd recommend this musical. It was ok. I do like a good musical. This one just lacked substance. The singing was phenomenal. For some reason I felt cold towards the story, probably as it felt forced and also stereotypical. What a fantastic show ! The whole cast is hugely talented (special applause for the young actors who were wonderful) and delivered great performances. 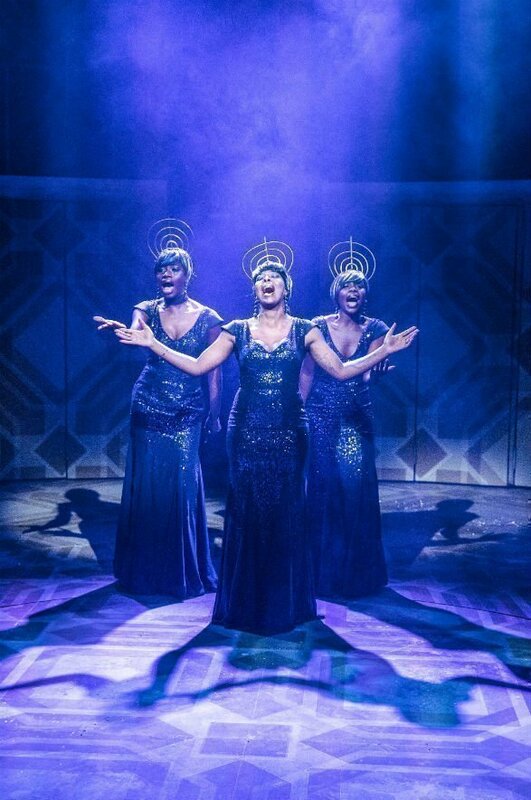 I felt the storyline lacked a bit of depth and was a bit simple but the fantastic voices and great singing is not to be missed. We had no idea what to expect .... and loved it. Caroline is amazing and the kids singing and dancing were great. The clarinet was totally unexpected and a bonus for me! Fabulous radio girls and great sixties set. On the surface a show about someone in a dull job, who stays in the same subterranean Hell, but who tells History in every syllable. It wasn't always easy to follow but that isn't a complaint - it made us concentrate and thoroughly get into the performance. A good thing. Thanks. Wonderful show, history well handled. Superb meshing of African American and Jewish experiences. Highly recommended. Some fantastic vocal performances although I would have been happier if some of the dialogue had been spoken. 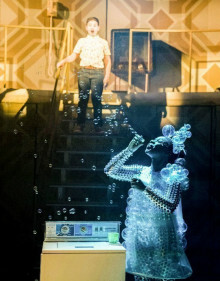 The theme of the musical was admirable but the telling of the story was slow and tedious and towards the end confusing. I loved this show - clever staging outstanding vocals and incredible young talent. Very dissapointed in the seat K21, 22. No records that I was booking a restricted seat. Couldn't see upper level Technical issue and show stopped so able to move to a better seat however the usher (blond young man) was rude and unhelpful to us and another couple when we requested to move while we awaited the technical issue to be sorted. The acting and singing was good but we felt that the whole storyline lacked content, the songs were much the same, and we found it boring. Good performances, powerful singing voices, very creative and often moving. Many strands and references, but perhaps none addressed in enough depth e.g. development of civil rights movement. Poor plot, needs more substance! After all the five star reviews I was expecting big things from this show, but sadly it fell short on all accounts. It's very basic storyline and uninspiring songs failed to keep my attention and although some very strong performances from individuals it was hard to remain focussed throughout. Dark period story so not much movement however good acting !!! Excellent cast. The singing and acting was great. Shame about the story without a clear ending. 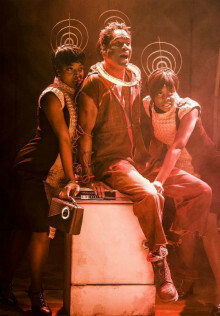 The show was lively, colourful with good music & a message of the haves and have nots. Always good Story without any talking a little hard to follow . We went to this show not knowing anything about it. The cast are amazing, both acting & singing. The main character, Caroline, is someone that you warm to immediately, and so eventually you do to the other characters too. The music is fantastic, the lyrics work really well. The children cast for the show were excellent, very professional and gifted. Don't miss the chance to see this show. Great story with historical value and thought provoking social issues. 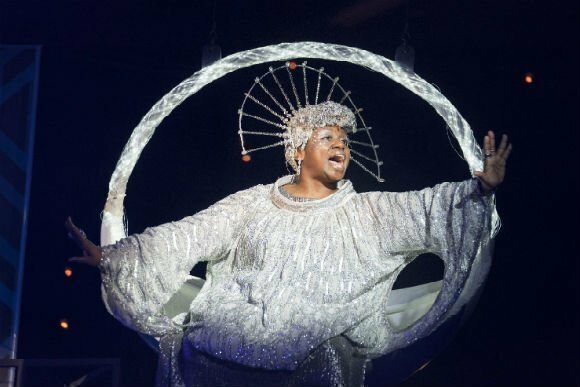 I initially went for Sharon D Clarke, but it didn’t take long to be completely enthralled by this immensely talented cast. A clever, poetic and powerful walk through the life and times of Caroline, her family and her purpose. Angry, but always true. A very honest story. The upper circle is probably a bit challenging for those with mobility issues. I had great seats in the dress circle, D10-ish. Places you right in the middle. Bit tight but enough legroom. Only frustration is other theatre goers who cannot seem to resist checking their phones every few minutes, ignoring the fact that it lights up a whole area. Perhaps more warnings and support from staff to shut this down? This is a fantastic evening out. A story with a message which is still relevant in the USA today. Brilliant performances all round. All the singing was sublime and Sharon D Clark blew the roof off. Can you guess that I loved this show? 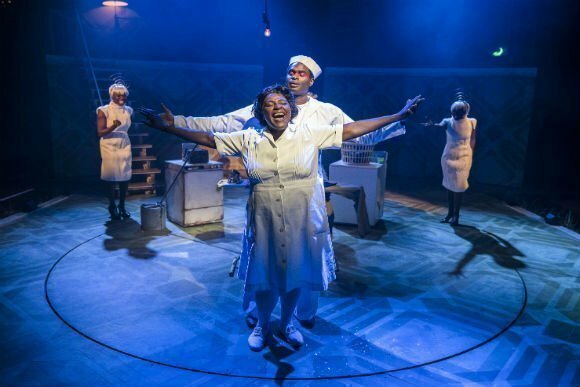 This production, a collaboration between theatres in Chichester and Hampstead, got rave reviews at both venues and this West End tansfer looks set to wow a whole new audience. 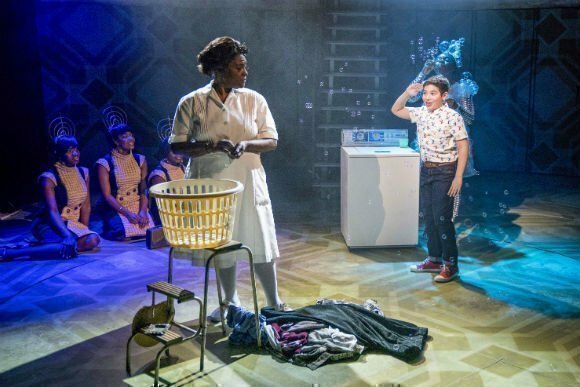 West End royalty Sharon D Clarke reprises her virtuoso performance as Caroline Thibodeaux in CAROLINE, OR CHANGE currently playing at Hampstead Theatre. 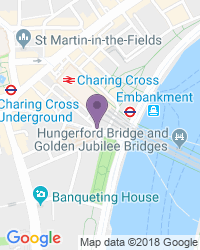 Use the search box at the top left of this page to search for Caroline, or Change tickets availability.